One of the great comic delights... Any excuse to watch this daffiness is welcome indeed. A Fish Called Wanda is a wonderfully funny film, certainly worthy of its cult status. Arrow Video have finally brought it to Blu-ray in a sharp-looking and extras-packed special edition. It's easily the best the film's likely looked in thirty years. A wonderful release by any measure... This is certainly the edition of this film to get, and it easily comes Highly recommended. 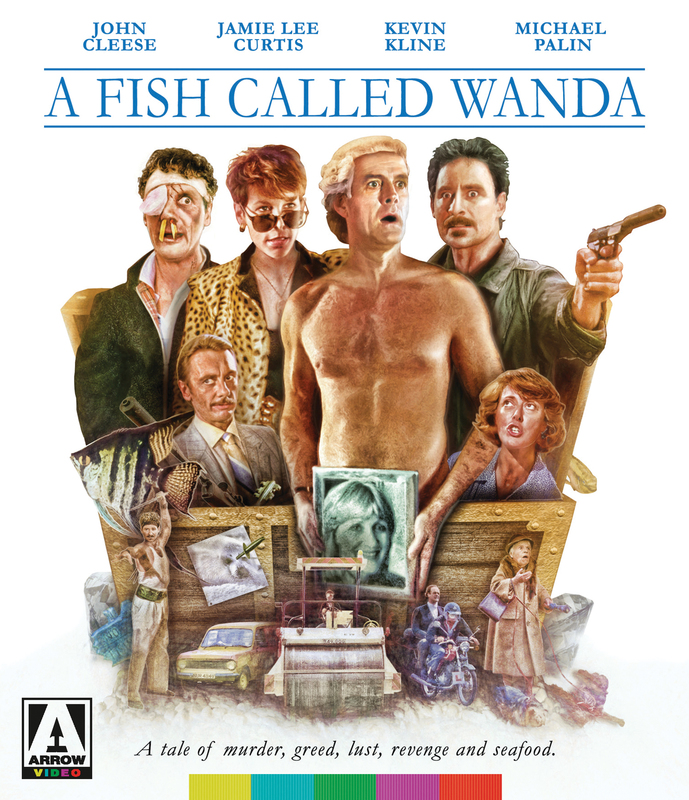 Considered one of the sharpest and most hilarious comedies of all time, A Fish Called Wanda was a welcome surprise when it originally premiered and has aged remarkably well, despite the late 1980s setting. While the film has had a pretty good aftermarket life, Arrow Video's latest Blu-ray release tops them all in nearly every category. It's a fine package and well-worth upgrading to, even if you already own the previous MGM Blu-ray.